I met this gorgeous akita named Ares back in January when I was seeing this guy. I got to look after him a couple of times and take him out for walks. I instantly fell in love with the breed. They don’t run per se, they trot. They have a quite regal way of moving and behaving- and they barely bark! I’m a huge fan of Spitz Breeds and have always dreamed of owning a Samoyed one day. I’ve always loved huskies too but recently i’ve come to regard a Japanese Akita or Shiba Inu as my top breed to get when I move out. 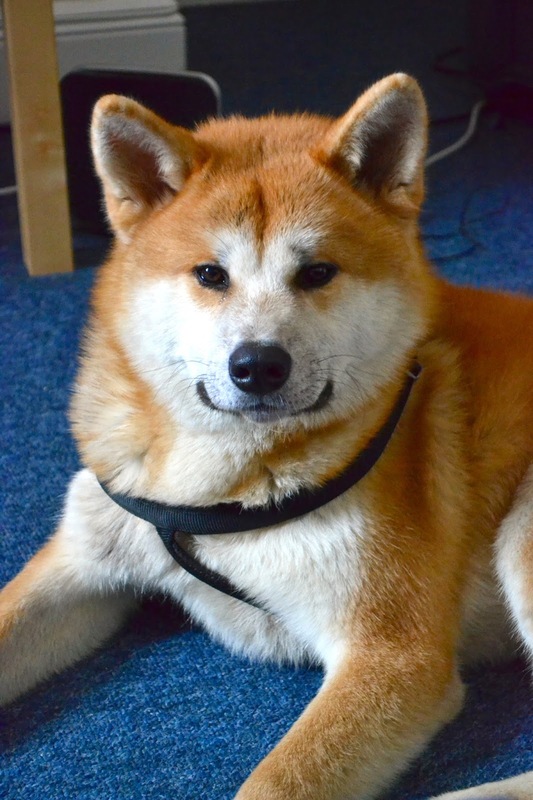 I’ve always loved Japan and Japanese culture- and a japanese dog breed? It just seems a perfect fit for me, but they can be expensive to buy so i’m going to have to start saving! What’s your favourite dog breed? Do you currently own a dog and have any tips?